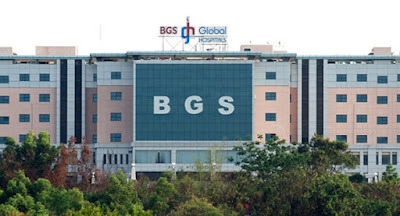 BGS Global Hospital successfully performed a heart surgery wherein, a combination of Implantable Cardioverter-Defibrillator (ICD) and Cardiac Resynchronization Therapy (CRT) pacemaker was implanted to treat a patient suffering from heart failure and thereby prevent Sudden Cardiac Death (SCD). A large percentage of patients who suffer from heart failure need special implantable devices for CRT. These patients then require regular monitoring of the CRT pacemaker and their cardiac condition. A CareLink device monitoring system is an important advancement in this regard, allowing patients to receive expert medical advice from their physician while at home or traveling. It remotely monitors the CRT pacemaker and automatically transmits important data from the implanted device and relevant heart data to the electrophysiologist at periodic intervals. It also automatically transmits data if some critical parameters of heart or device become abnormal, between periodic transmissions. The patient Raghu, presented with breathing difficulty and edema. His heart’s pumping efficiency had been reduced to around 20% as against a desirable 60 per cent. This meant he was at risk of heart failure and SCD. Initial treatment involved medication to manage the correction of the reversible factors. The next course of treatment included an implant of combo device. The surgery which lasted around 90 minutes was successfully completed. With this surgery, recovery is rapid, allowing the patient to be discharged in two days. Emergency treatment for SCA includes cardiopulmonary resuscitation (CPR) and defibrillation. CPR keeps enough oxygen in the lungs and gets it to the brain until the normal heart rhythm is restored with an electric shock to the chest (defibrillation). It is CPR plus defibrillation that rescues the patient. 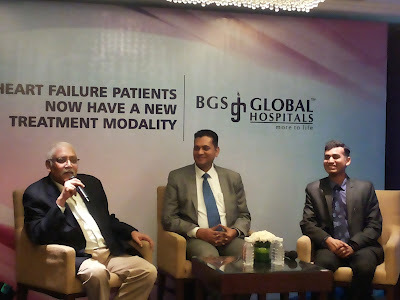 According to Thomas Mathew, COO, Global Hospitals Bengaluru, Our integrated team of experienced cardiologists, electrophysiologists, world-class infrastructure, treatments and diagnostic facilities endeavour to ensure that our patients have access to the most advanced cardiac technologies and care standards whenever they need it.